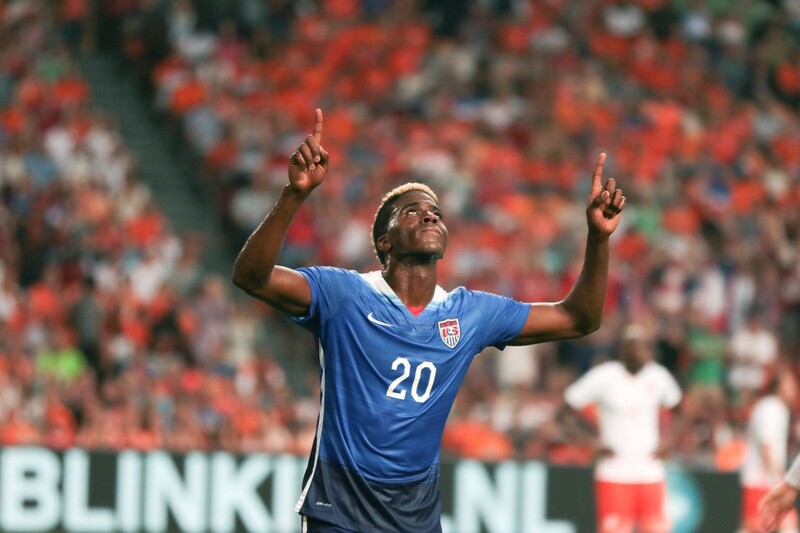 The U.S. pulled off a late miracle in Amsterdam. Was it a blip, or the launch of a new identity? [W]hen Amsterdam ArenA’s retractable roof is closed, sound has nowhere to go. It gets trapped inside the Dutch capital’s showpiece venue, along with a spectacle of orange streamers heralding one the world’s best teams. It can be a daunting atmosphere, even before getting to the talent-packed roster of №6 Netherlands. And so, facing a two-goal deficit early in the second half and then trailing by one as stoppage time neared, it looked like there was no escape for the U.S. men’s national team on Friday, either. Only as the clock ticked down in the famous stadium, the Americans found a way out. With goals in the final two minutes from substitutes Danny Williams and Bobby Wood, the USMNT pulled out a surprising 4–3 victory — its first ever against the Dutch. 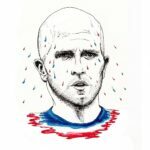 USSoccer.com called it a “win for the history books”, and while that’s technically true, it might be a tad hyperbolic for a friendly where 11 total players were substituted. Still, it’s hard to look at the U.S. result without optimism. For starters, it went against a troubling trend that has nagged Jurgen Klinsmann’s side since the 2014 World Cup. In the 10 matches since Brazil, they had allowed six goals in the 80th minute or later and had blown leads seven times. On this warm Friday evening in Amsterdam, they did the opposite. Down 3–1 after a brace from Klaas Jan Huntelaar (27’, 49’) and a third from Memphis Depay (53’) negated Gyasi Zardes’ first international goal (33’), Klinsmann went to his bench, making five subs early in the second half to try and climb out of the hole. 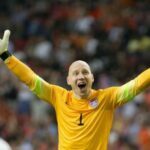 Indeed, the U.S. had bossed the opening 20 minutes, when Zardes forced Jasper Cillessen into a reaction save, Michael Bradley hit the post twice, and Fabian Johnson also found the woodwork. That seemed a distant memory when Klinsmann began reaching into his bench, but his moves proved prescient. Of his six total subs, four contributed directly to goals. First came substitute DeAndre Yedlin’s assist to John Anthony Brooks in the 70th minute, marking Brooks’ first tally since his dramatic game-winner against Ghana in Brazil. That turned the unlikely plausible, even if few — save maybe the small but vociferous band of Americans high up in the stands — could have seen the ending coming. In the 88th, Bradley’s corner was deflected out to Williams near the top of the box. Moving to his right, he ripped a right-footed shot that angled off of Dutch forward Luuk de Jong and in for an equalizer. Where luck had a hand in that, the next one was down to pure grit and sharp passing. Bradley fought through two tackles and sent Jordan Morris through down the right side, and his ground cross was perfectly placed between four Dutch defenders to Wood, who opened up his body and finished with the inside of his trailing right foot. The two late heroes joined Zardes in bagging their debut goals and will deservedly walk away with plaudits, but Bradley should get his own heaping of praise. All three second-half goals began with the ball at his feet — a strong sign for a player whom many criticized for not being enough of an offensive engine during the World Cup. 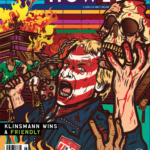 Only time will tell if this match was truly a sign of things to come for Klinsmann’s men. For now, he’s quick to point to squad depth and pace as his difference makers. Speaking beforehand, Klinsmann viewed the game as a learning opportunity, and valuable experience was surely gained. More is on the way, with a match against world №1 Germany in Cologne on Wednesday before beginning Gold Cup play in July. The question is whether Friday’s whole-other-level ending was just that — an experience — or the start of something new. John Stephens is a sports journalist for the Evening News and Forth 1. He lives in Edinburgh and Tweets under the handle @JohnStephens07.